I picked up the first book in the Throne of Glass series by Sarah J. Maas a long while ago but lots of ARCs have kept me from getting started. 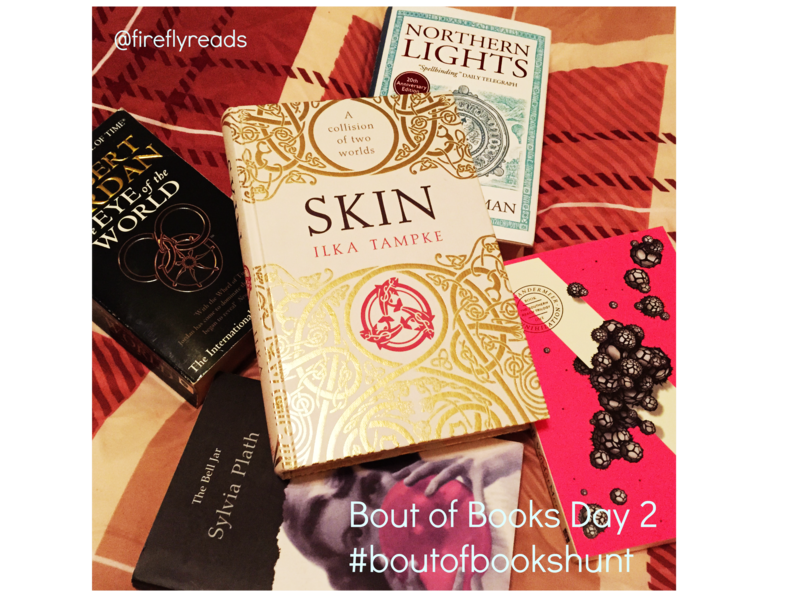 I’m so excited to finally have the time to delve into these books and I wanted to share a little giveaway with you all! These adorable Throne of Glass badges are made by the brilliant Hooked on Books, and I have one set to give away to a lucky winner! To enter just follow my Twitter account @fireflyreads and RT the below tweet, easy! The competition is open internationally and will close on 30th November 2015 at 11pm GMT. Please make sure you check out my Giveaway Policy before you enter. 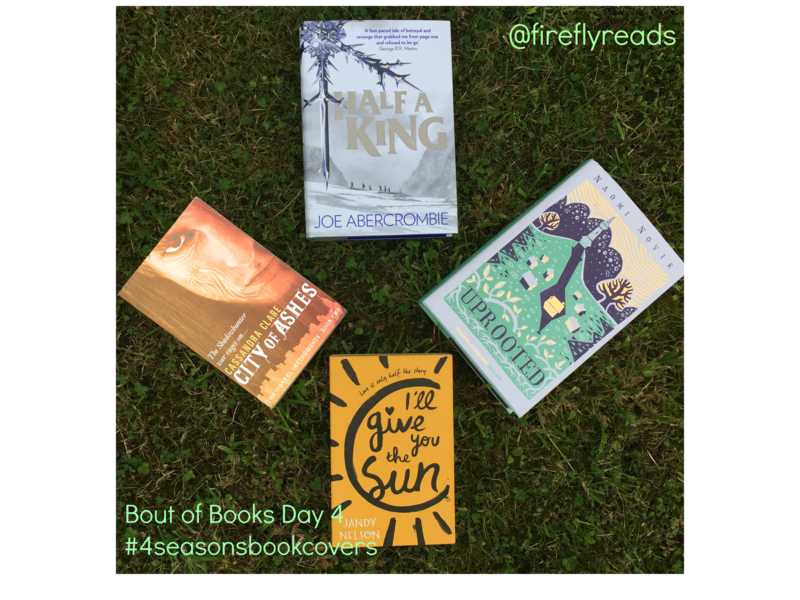 The fourth challenge this week was to find a book cover to represent each of the four seasons. I really enjoyed looking through all the beautiful cover art on my shelves and think I eventually found the perfect combination! I love this edition of CITY OF ASHES so much and I’ve been forever disappointed that I just can’t find the rest of the series to match. I have beautiful copies of CITY OF BONES and CITY OF ASHES and I’m really not a fan of the covers that replaced them. I’ve got mad love for the new cover art by Míla Fürstová though, check it out here! Let me know which covers you chose! I LOVE THIS CHALLENGE! A total throwback, Day 3 brings a classic game of MASH. I drew a swirl with six gaps and off I went to find my destiny! So, in my very own dystopian story it looks like I’m taking down the patriarchy with Darrow, a bumblebee and some sweet sweet allomancy from the comfort of a magical forest. Yes. Actually does someone want to write that up for me? It sounds like something I’d very much like to read! Todays challenge is a good old scavenger hunt! I’ve searched through my shelves to find a book that fits each of the below categories. Let me know which ones you chose! Okay so we’re not counting the ‘The’, right? I’ve been TERRIBLE today and barely managed to squeeze any reading in at all. I’m currently in the final few chapters of the stunning SKIN by Ilka Tampke and I’m really looking forward to taking on this vibrant copy of ANNIHILATION by Jeff Vanderman next. Turns out ALL of my books for yesterdays challenge had blue covers! How weird is that?! I have an absolute tonne of books with beautiful blue cover art, but had to go for the gorgeous 20th anniversary edition of NORTHERN LIGHTS. 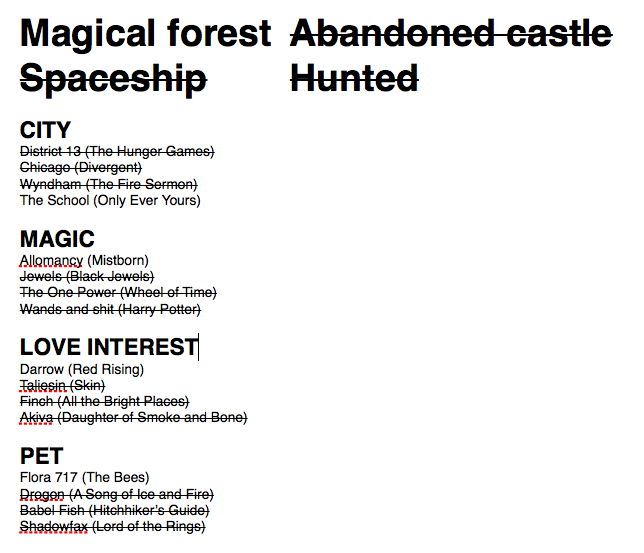 At the moment I’m moving out of my dystopia phase and I’m feeling some classic high fantasy. It was tough to choose just one book to represent this genre but I feel that a well-thumbed copy of Robert Jordan’s THE EYE OF THE WORLD sums it all up! 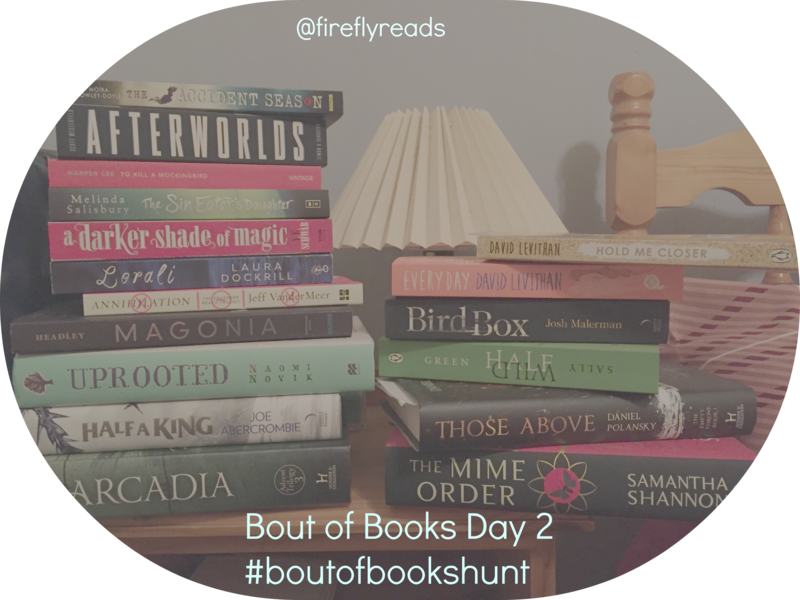 I thought why not just take a picture of my whole TBR pile for you guys! There’s a good mixture of books I bought and books that I received for review. There are some started already and some that just keep getting bumped down the list the more I buy! This isn’t even the half of it… my mental TBR is never-ending!